Arsenal’s ownership is an oxymoron. The Premier League is awash with money, in fact, it has never been more affluent. Thanks to the TV rights deal that dwarves the other big domestic leagues, all Premier League clubs have larger fiscal muscles than their European brethren. Our club are part-owned by Alisher Usmanov – an oligarch who is ranked amongst the richest people in the world, and Stan Kroenke – an American whose portfolio is amongst the largest in terms of sports teams. We also have Ivan Gazidis who was awarded a bonus for a season which is the worst placing in over two decades. 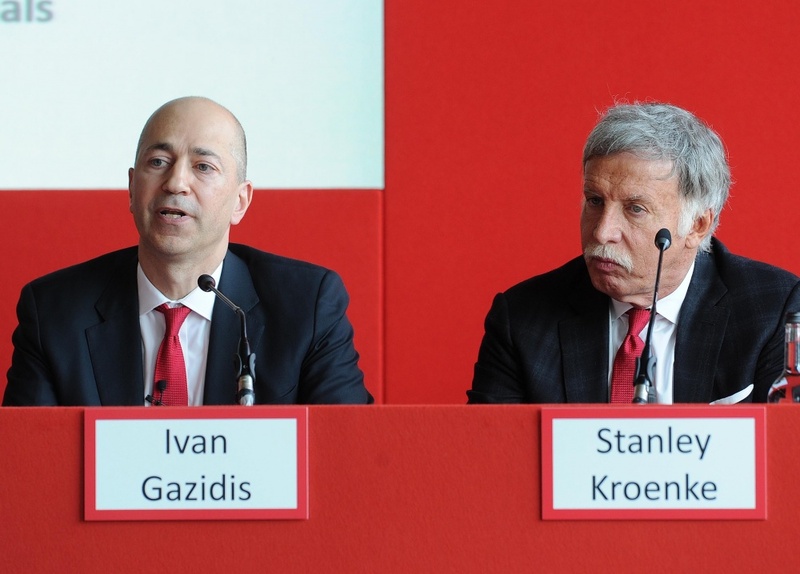 On their own, Kroenke and Usmanov could financially back any team to the zenith of sporting achievement. They could completely transform the outlook of the league should they choose to. Instead, with a backdrop of torrents of currency, they both choose to stand idly by as other clubs push on. It is ironic that these ridiculously rich men who spent ludicrous amounts to garner our shares, now do nothing more than lasciviously eye each others stash of our club. Perhaps our current problems in the Boardroom are magnified in part due to our past ownership? The setup was always led by Arsenal-DNA. Although the loyal Ken Friars is still part of the makeup, decisions are now not made with Arsenal at heart. Our club no longer have a hand on the tiller that is primarily concerned with the progress of our club, and it has now come to a point where it is harmful. The good work that was put in during the late 90’s and early 2000’s gave us a headstart, one which was vital to capitalise on. The chasing pack was closing in, but we didn’t stretch our gap, we simply treaded water. Now we stand on the precipice, caught between the ignominy of being just another member of the flock that grasp towards the top, and rekindling our groove and making ground on the distance we lost. Manchester united may be saddled with debt, but they have crucially continued investment in recruitment. They have also shown little patience for mediocrity. Manchester City have embraced the funds of their owners and player purchases continue unabated. Chelsea too have dug deep in their pockets and regular silverware has been the produce from their spending. Then there is tottenham and Everton. Our North London neighbours have spent well and have a new stadium to look forward to. This new home has the capacity to propel them to regular contention for honours. 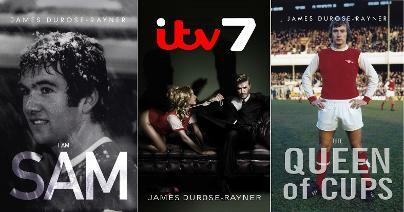 They have not had the income of their more illustrious rivals but it has not stopped them. Of course there are many variables that may yet take them off course, but they are primed to continue their rise from where they were a decade ago. Everton are under the stewardship of new owners. They now have the resources necessary to take them higher than erstwhile European place challengers. Ronald Koeman lost his way, but their spending spree in the summer is just a signal of what they are now capable of. This is now the time for us to act. We have the potential in our sponsorship deals and our gate receipts to muscle in on the show that is seemingly going on without us of late. We could also overtake all and sundry if our owners acted like owners should. At this moment we are merely a trophy on a wall, a conversation starter in auspicious surroundings whilst swilling brandy amongst the hoi-polloi. Our previous Board members who are long since departed from the club showed how it should be done. Hell, even the dubious roubles of Roman Abramovich are evidence that not all takeovers have to be negative. We need Usmanov and especially Kroenke to put their pennies into their new shiny piggy bank. The trouble is, they have not invested a brass farthing since becoming involved. And it has worked in a business sense. Share prices have nearly doubled since 2007. Maybe it is a nostalgia that blinds us. Football is a business now, but surely owners want their toys to be bigger and better than everyone else’s? Right now, Kroenke has left his new plaything out in the rain to gather rust. We have a Chief Executive that received a bonus for a fifth placed finish so there is no incentive for improvement, which only adds to our woes. Competition should see the strongest survive, and we are now limping behind. Excellent as usual. Indeed they do need to act, and act very quickly to reverse our regression. I appreciate that Martin, means a lot. We’re on the slide, definitely. Your words are an accurate evaluation of our dilemma, a very much a worsening dilemma at that. One of the key principals of a successful business (I use that term as Premiership football is no longer a sport) is to market a superior product followed by principal two – outstanding customer service. Neither of these principals are currently in evidence at Arsenal. Quite the converse in fact, the senior stakeholder and his disciples seem to be interested only in banking the profits their investments yield. I don’t lump Usmanov into this category at the moment and reserve my judgement of him for one reason only – I believe he is reluctant to invest into the business because he is being isolated by Kroenke & Co. They deny him any involvement at board level and therefore influence on any cash he may choose to put forward. Not an attractive proposition for someone with a smidgeon of business sense. I live in hope that the current litigation taking place in the USA against Kroenke may create some cracks in empire that could ultimately lead to his downfall. Well Hogmanay is a time for dreaming and resolutions isn’t it? Who knows, they all be as bad as one another, in which case I’ll take up beachcombing in search of the mystic bottle with the genie in it – well it’s pantomime season – oh yes it is! I jest, but the situation is not one of humour, far from it. For those who have invested as many years (and more in some cases) as I have devoting their every fibre to the club that is THE ARSENAL, then the current situation and the apparent future prospects are untenable. Wonderful comment my good man. Couldn’t agree more.